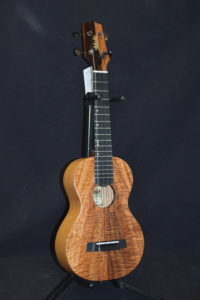 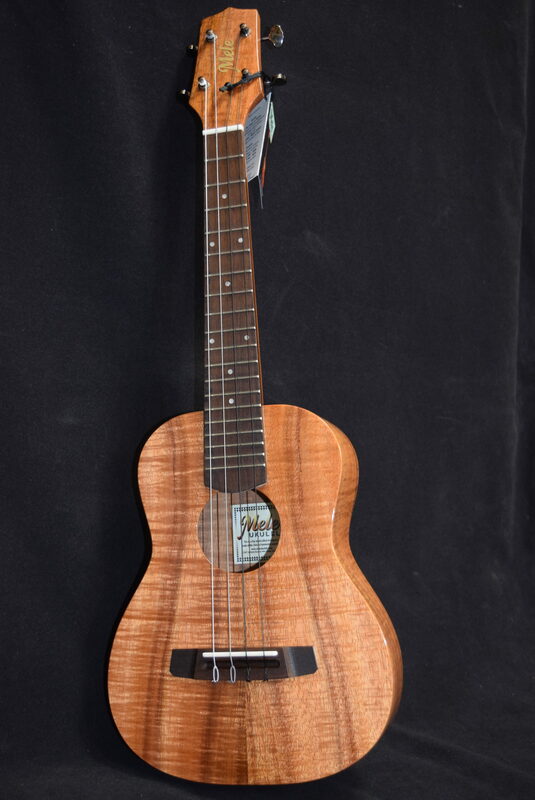 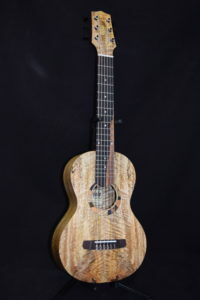 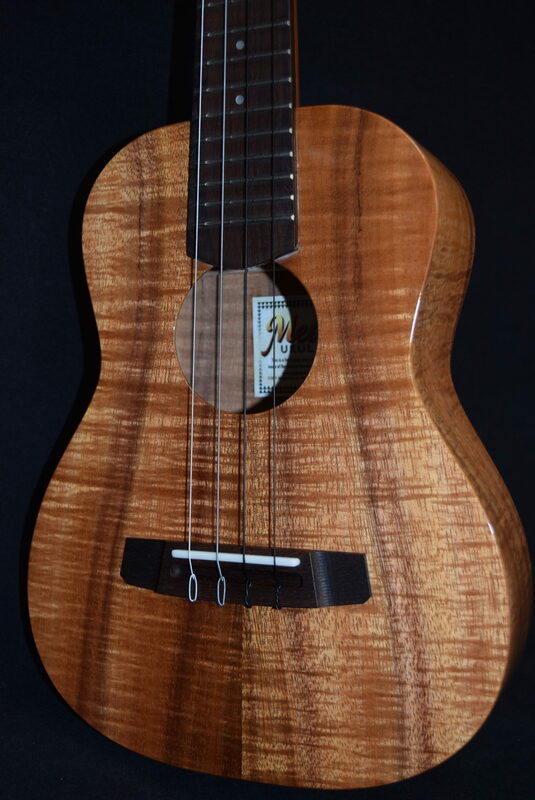 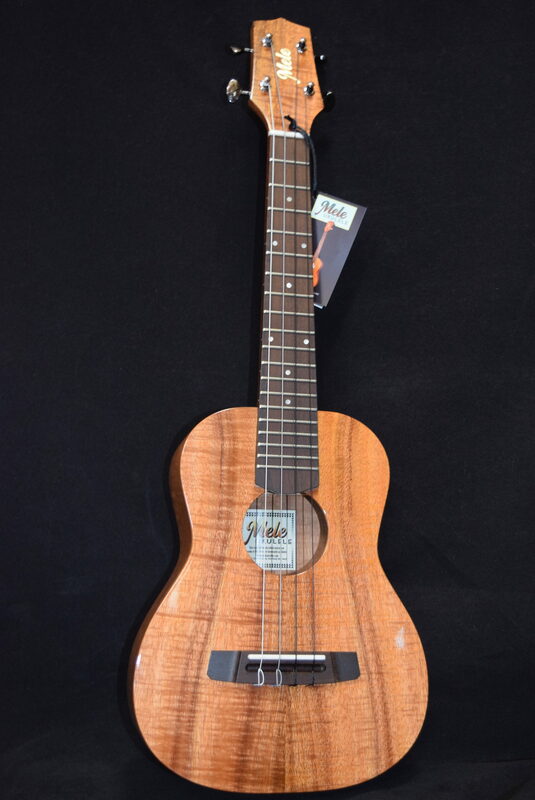 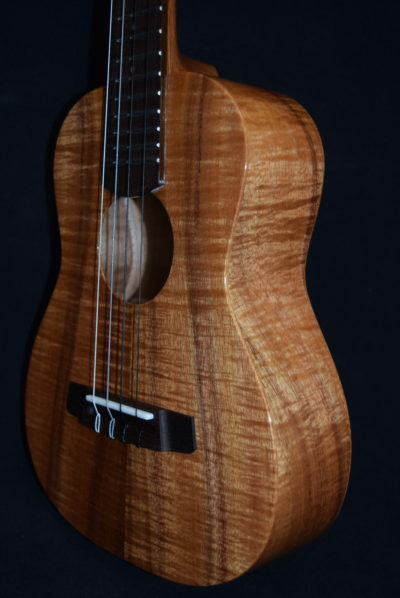 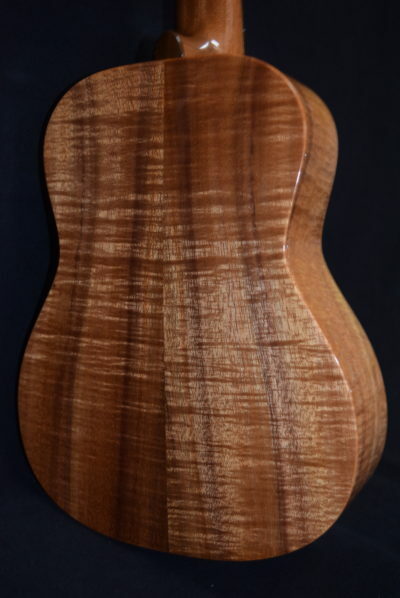 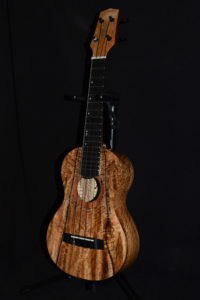 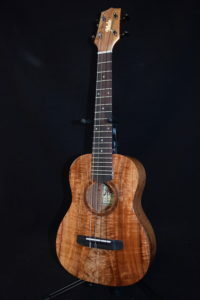 If you’re a beginner or a seasoned Ukulele player and want a professional-quality tenor Ukulele, this custom, handmade, Mele solid koa tenor 4 is the one for you. 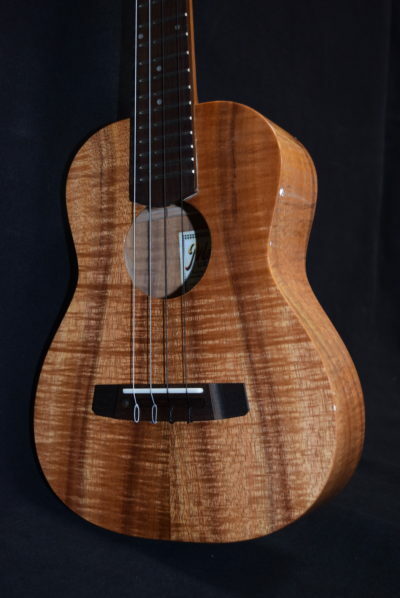 It is completely constructed by seasoned professional luthiers and is a SUPERB instrument! 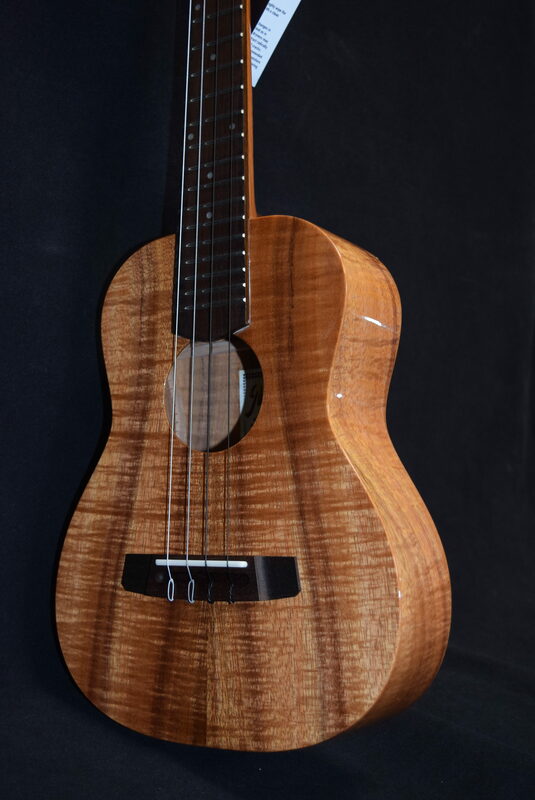 This model is our classic single-soundhole design, which projects a beautiful sound and has a distinctive look. 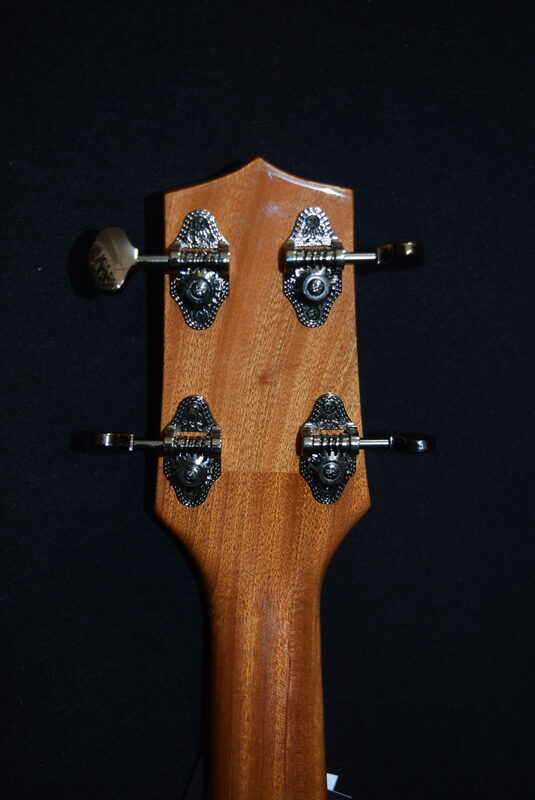 It has a unique “pheasant wood” bridge and fingerboard for protection and structural integrity as well as beauty. 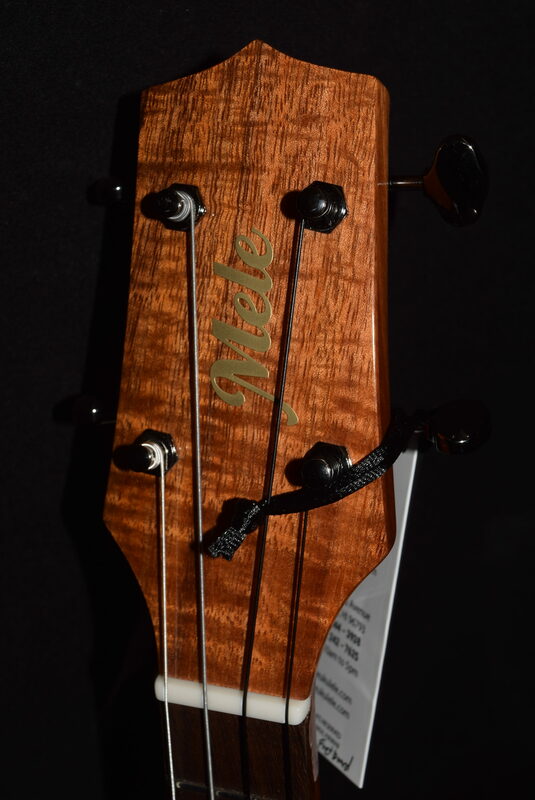 (zoom in on the fretboard photo).